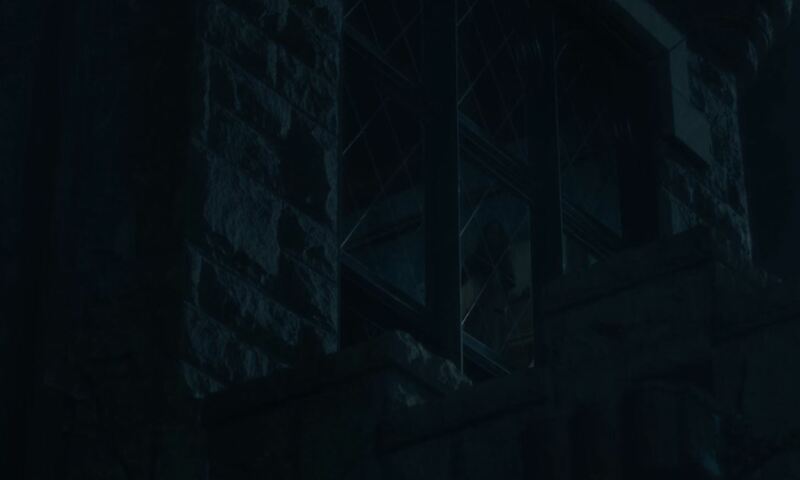 There’s been a lot of attention to the recent Netflix series – The Haunting of Hill House lately. A casual research on Google shows that the series have been consistently getting excellent reviews. Knowing that it’s a horror series and due to the obvious lack of good horror drama series lately (the latest season of American Horror Story may have potential), I decided to give it a try for myself. After all, what better time to start watching a horror series than during the Halloween week? And obviously, spoiler alert (but it’s just the first episode, so…). Only armed with the knowledge that it’s actually an adaptation of a 1959 novel written by Shirley Jackson, I stepped into The Haunting of Hill House proper. I did not want to read the synopsis or the Wikipedia entry so that I could give my objective first look in this article. It’s definitely not because I was lazy. Really. (coughs) Also, note that this first look is only going to cover the first episode, and will not be a full season review! The first episode started off with a dark gloomy house (of course), with the dad, Hugh, checking on his crying daughter, Nell. Hugh is also tagged along with his eldest son, Steven. Within the first minute or two, I had the impression that perhaps this series is going to rely heavily on the children actors. Which may or may not be a good thing, seeing that Stranger Things was so successful. Crossing my fingers that it won’t emulate the Stranger Things model just for the sake of it, I continued watching. Way bigger than necessary house, checked. Obvious lack of lighting, checked. Frightened child, checked. Curious child, checked. Non-believing “It’s just a dream” adult, checked. Yup, it’s horror alright. Might still be too early to say, but I felt that the acting of the child actors aren’t as good as the cast from Stranger Things, with the exception of Nell. But I suppose it’s just the first episode, so let’s carry on. 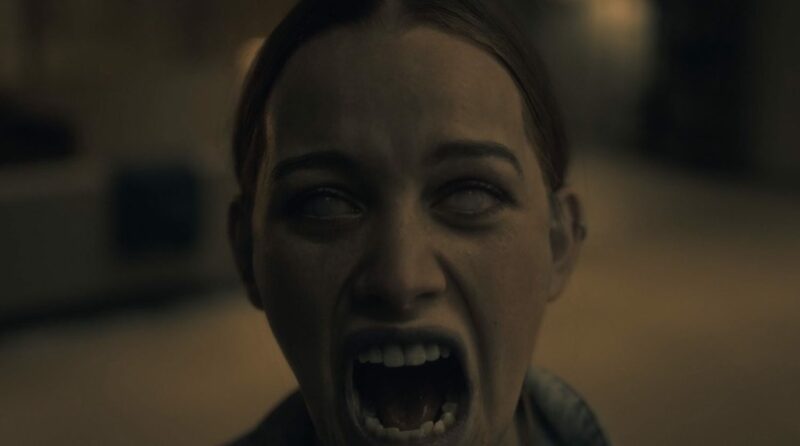 Took me by surprise, but the show actually switches focus between past and “present”, which isn’t entirely new, but an interesting take on the horror genre. The first episode actually introduces us to the Crain siblings as children without very distinctive traits other than their outward appearances, and then them as adults, now with much more distinctive personalities. Steven becomes an author of horror fiction/non-fiction but he doesn’t personally believe in ghosts, Shirley runs a funeral home, Theo is a child psychologist who seems to be a lesbian and wears gloves, Luke is a drug addict and is a thief, and Nell… Well, no idea what Nell is in her adulthood. The horror aspect though, based on the first episode alone, I guess you definitely can see the scares coming. Though there are plenty of false alarms where the camera and accompanying music actually lures you to expect something but it doesn’t reward you with the scare that you “know” is going to be there. But on other times, an innocuous scene may require you to pay a little bit more attention to notice that something is off. But based on appearances alone, the first episode makes use of the tried and tested formula and common horror tropes. As a result, you will kind of expect and see things coming, especially if you’ve seen enough horror shows. A door that is mysteriously of a different colour from every other door in the house, checked. And of course it’s red. But what this episode excels in is the execution of the plot. 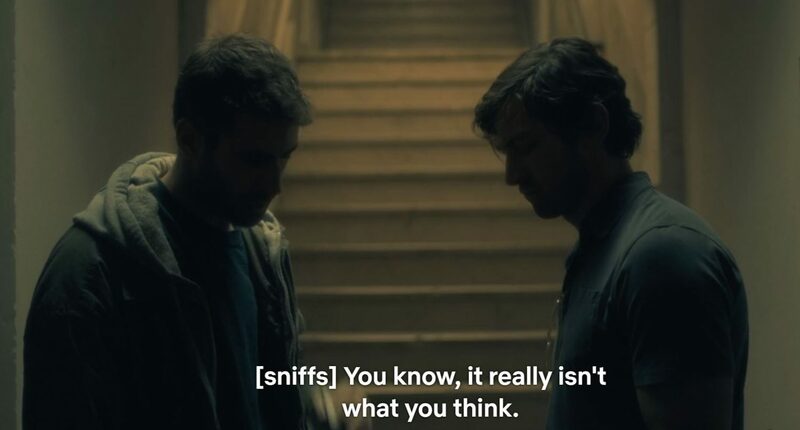 The formula of showing the past (childhood) and present (adulthood) provokes the curiosity in viewers to find out what exactly happened in between. What actually made the Crain siblings who they are as adults? And if the house they stayed in as children was really haunted, how is Steven so skeptical of ghosts? 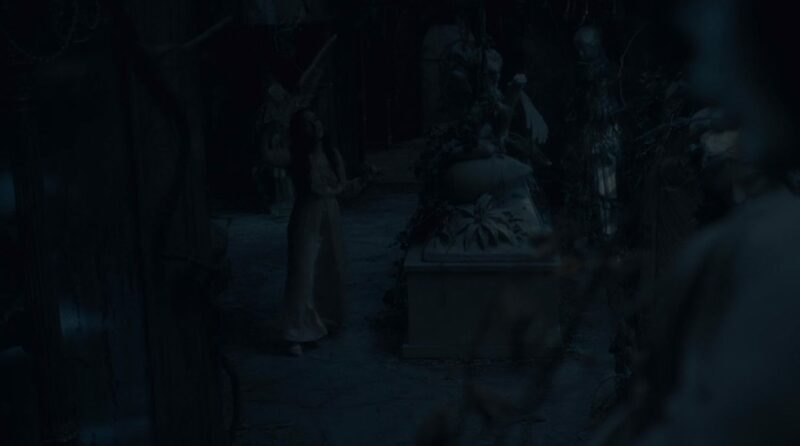 And also, what brought Nell back to the Hill House and why was she dancing? And why is it the events start happening at this point in time even after they’ve moved out and have been leading their own lives in peace for years? The first episode basically sets the premise well, and have done enough to set the foreboding in advance. Although as I mentioned above, common tropes. Also, I like that the episode didn’t try too hard to introduce ALL the characters, because it would be way too rushed. For example, Luke. Nell’s twin and a quiet boy who keeps to himself and likes drawing, becomes an substance addict. The introduction of adult Luke and his issues are clearly shown in 1 short and simple scene. Also, the interactions between Luke and Steven is contrasted between the past and present, showing that Luke is still reliant on his elder brother Steven for help even as adults. Also, as the story goes, I was expecting that the one traumatic experience that all the kids went through that resulted in them becoming who they are were related to their mother. Especially since the mother was notably absent in the present time. 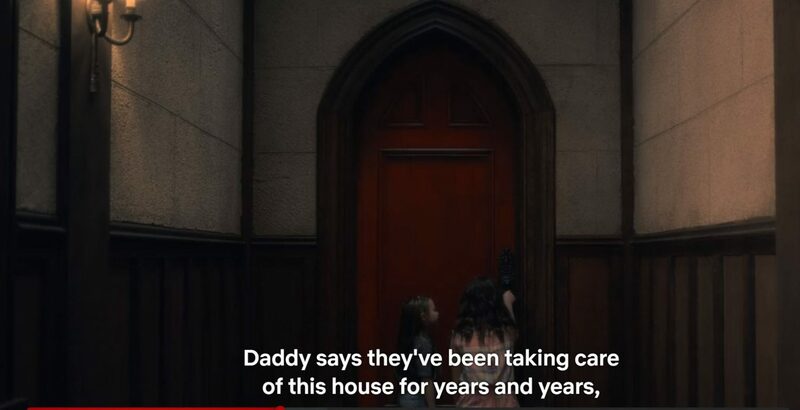 But the fact that what happened to the mother and how did the Crain family leave the house was quickly revealed in the first episode actually exceeded my expectations. I was expecting that what happened to the mother would be a big mystery that will only slowly reveal itself nearer to the end of the season, but apparently nope. 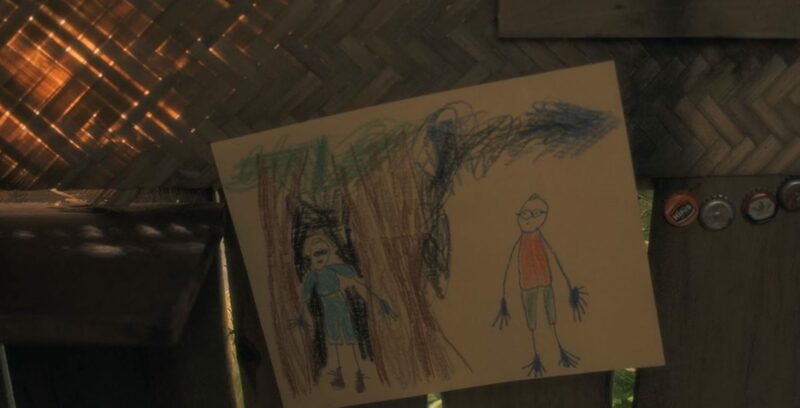 So what more could the hauntings in the Hill House do that is worse than the mother’s disappearance/death? Ah, of course. What could be worse than the death of a family member? The death of another family member. The excellent reviews certainly got me hyped up for this series, and judging from the first episode, I would say that it’s definitely worth a watch. Whether it’s worth the hype though, I would say not yet. It still remains to be seen. The horror effects are pretty well done, and I would say it is scary enough, especially when you’re watching at home alone. But from the first episode alone, it relies very heavily on common horror tropes for its scares. The story is the one that shines here. It is intriguing in the sense that it outwardly shows you the past and their lives after they “survived” their traumatic childhood and it leaves you guessing what happened during the interval. 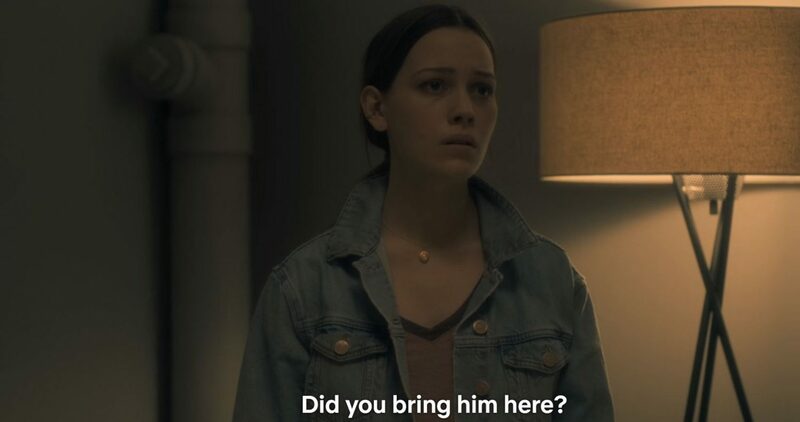 Also, with the sudden demise of what I thought was the most important character, who was outwardly the most affected one by the childhood ghost sightings, it actually left me with the thought, “What if the most affected ones are the other siblings who seem to have adapted well to their “new” lives?” It is also interesting that The Haunting of Hill House immediately answers a few questions that it lays out within the episode so that it leaves you thinking, what else could be it? Hence, for this first episode of what looks to be a good series, I’ll give it a 7.5/10! Let me know if you agree and if you would watch it for yourself!